Don’t let the title deceive you, this post isn’t about the cost of producing rewards. Rather, this post is about the cost of Kickstarter rewards after the backers have gotten theirs and the creator is left with a product to sell. This has proven to be a surprisingly touchy subject, and the source of more than one argument around these parts. Lets consider some recent projects, and how they’ve marketed the goods after the fact. 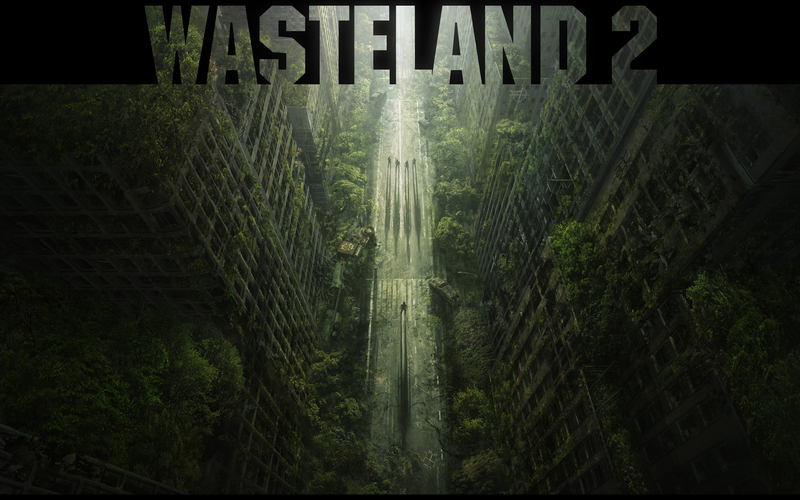 The other day, a friend pointed out that ‘early-access’ to Wasteland 2 is available on Steam, for the low, low price (ha!) of $59.99. He felt vindicated by the price, having backed the Kickstarter, that he got a better a deal than Steam was offering–a sentiment rooted in the fact that backers often seem to be paying a premium for the “privilege” of getting in at the ground floor. I can’t say I blame him, because no one wants to feel like they got the short end of the stick–least of all if they took the risk to pledge to the project, and then wait through all the ups and downs for it to be finished. Consider the case of Numenera. I’m a big fan of the product, but I didn’t back the project–I waited for the pdf to hit stores before I committed. After purchasing the digital edition, I was so enamored that I ordered a hardcover edition from Amazon. All told, I paid less than anyone who bought into the project at the digital/hardcover level for the same product. Though Numenera was good enough that I jumped to back the followup project, The Strange, my only hesitance was was in figuring out whether or not I’d be better off waiting for the book to hit the shelves. Fortunately for backers, Monte Cook Games did a much better job of assembling the reward tiers this go round, and it seems like project backers are going to get a much better deal than those who missed the boat. David has made a number of posts about Queen Game’s practices on Kickstarter. They’re among the worst offenders in my opinion, as backers typically pay MSRP for a product they could’ve gotten on Amazon at 30% off (or purchased at their FLGS and supported a local business). Now, I don’t mean to suggest that project creators need to cut their throats to give backers a deal, but I do think that projects that are destined to be productized (i.e. not exclusive to Kickstarter) should give backers some additional value to acknowledge their special role in the creator’s value chain. Otherwise, whats the point? For my part, as I back more projects that become products on store shelves, its becoming harder to maintain the distinction that I’m not preordering a product. I just don’t want to compound the risk inherent in being a backer by paying more than if I waited to buy something on Amazon… What say you? Hm… I think backers should get a product for less, Chris, or at least get exclusive elements or other freebies, even if the main product isn’t discounted. or both. As for Numenera, I didn’t fund it not because I didn’t think it was cool or because it steps on the toes of some of what I’ve been doing with my Cosmothea RPG for the past 34 years, but because they didn’t need my money. They quickly became so overfunded by several multiples that I felt it would be far better to support smaller indie projects, even though I thought Numenera looked neat. Fortunately, Cosmothea is very different, even with some of the similarities, so I don’t feel threatened by it, though it is a competitor for people’s time and money (well, when I finish it). But I try to find those really in need that I also feel are worth backing, over any big projects that probably don’t really need my money anyway, or at least they take a back seat. When I actually have money and am itching to back something, that is. I’ve backed several in the past, but am now very low on funds. Hence my Kickstarter. I like to help the lil indie Kickstarter projects as they can use all the help they can get! I’d rather invest in their dream, even if it’s not as polished as a top name game designer’s as I can always buy the fancy one off the shelf, like you said. But if I don’t help fund the small indie guy, he might never make it onto a shelf. And being a Creator myself, with a project launching in less than 2 weeks, I feel their pain and sympathize. But to stay or get back on topic, I do feel like some perks should be given to the loyal backer, so they feel that they were justified in backing the project beyond seeing it become a reality. Looking forward to the launch of your project! Drop us a line when it goes live! When I started on Kickstarter, I backed anything that looked interesting. Now, if it looks interesting, I just click the star and watch it until close to the end. If it explodes, and the stretch goals make it seem worth paying full price, I may back. But I’m realizing that a lot of the stretch goals in games tend to sit in the box when I play, because they don’t really fit in that well. So, as a result of all this, I’m backing a lot less. Haven’t given up yet, but it’s definitely lost its luster for me. I think it’s important that Kickstarter projects be viewed as more than just pre-orders by both backers *and* project creators. After all, without the backers’ support, the product would never have been created in the first place (at least in most cases) and the creator wouldn’t be able to take it to market. That being the case, as a backer I expect a little more of a “bonus” for supporting the project, whether that’s a greater discount, exclusive add-ons, etc., in exchange for backing a project at a very early stage. It’s not unlike seeking traditional investors, where they’ll expect a greater cut of the profits for an early/untested project vs. one that has market testing and some sales to show that it’s viable. Or to use an old gaming phrase, “The greater the risk, the greater the reward”.